Owning a family business can be a tremendously positive influence in a person’s life. 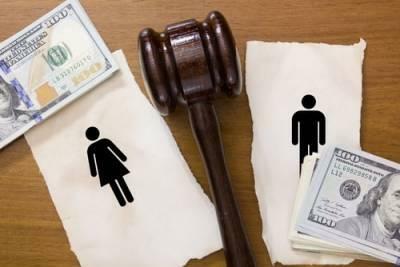 However, when a married couple who owns a business gets divorced, the process can become quite complicated. If you or your spouse own a family business and are considering divorce, you will most likely face additional obstacles that other divorcing couples do not face. Because of the complex nature of divorce involving a family business, it is highly recommended that you seek advice from a qualified legal professional. Married couples who own a business have a few different options when they get divorced. Some couples choose to continue running the business together even after they are no longer legally married. While this may be the simplest option for some, other couples may not wish to continue as co-owners after getting divorced. Another option is for one spouse to buy the other spouse out. This can be a good decision when one spouse is already less involved in the business or wishes to pursue other career and business interests. Lastly, the couple can close the business or sell it. Regardless of if you and your spouse choose to split the business or sell it, you will need to consult a financial professional who can value the business. It is especially important that this valuation is impartial and not unfairly biased toward one outcome or another. 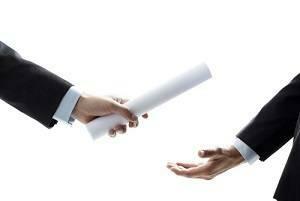 It is not necessary for each spouse to hire their own appraiser for business valuation. Neutral appraisers can advise a couple in this situation on a variety of issues including whether or not to consolidate your business to free up liquid assets. The American Institute for Certified Public Accountants (AICPA) offers business evaluation training for certified public accountants. A CPA may be able to help you with valuing your business and making decisions about the future of your business. Let’s be clear on one thing: No matter how good your business is, you will never reach the point where every single customer is completely satisfied every single time they interact with your company. Obviously, you and your team will give it your best, and you might even meet your own standards nearly every time, but your expectations and your customers’ expectations are not always the same. Sometimes, what your customer wants is not realistic, reasonable, or possible. For better or worse, there are countless outlets on the internet where a customer can go to express his or her dissatisfaction with your company, regardless of how reasonable his or her expectations were. When someone leaves a nasty review on Yelp, Google, or any other platforms, it might be upsetting and disappointing for you, but you can potentially make the most of the situation. 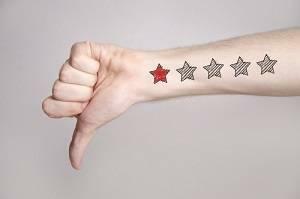 Your first inclination upon reading a negative review might be to fire back and to let the reviewer know what you think he or she should do with his or her thoughts. It is understandable that you would feel defensive, angry, and attacked, especially because a negative review usually feels very personal. Do not give in the to the temptation to turn the review into a fight. Take a few minutes—or a little longer—to calm down before you type anything. Your reputation and that of your business might depend on it. Large, multinational companies seem to always be hiring. Proof of this can be seen in a typical Walmart where touchscreen application kiosks have replaced resumes and cover letters. Of course, a large company like Walmart may have a constant need for new employees, but it is also better insulated against hiring mistakes. 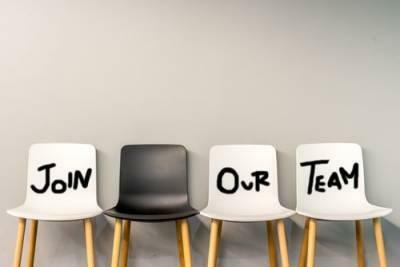 As a small business owner, hiring the wrong person can be quite costly, and the process itself can consume valuable time and resources. Fortunately, there are some things you can do to prevent expensive mistakes and to make the recruitment process more efficient. You may think you know where to find the best candidates, but are you certain? Before posting a job opening, it is a good idea to do your homework on where to find qualified applicants. This could include various online job posting sites, as well as local colleges, universities, and trade schools. You may be surprised to learn that there are more qualified candidates looking for jobs than you initially thought. When you post an opening, you should already know what that employee’s role in your company will be. Avoid the temptation to create a general listing. Instead, be specific about the duties of the position and how the new employee will fit into your culture and business plan. Be sure to list required skills and expectations, as well as possible challenges. The best candidates will be motivated to take on these challenges, giving them an advantage over the rest of the applicants. If you own a business that relies on customers coming into your building—such as a bar, restaurant, retail establishment, or even professional practice with a waiting area—you probably have music playing at least sometimes. 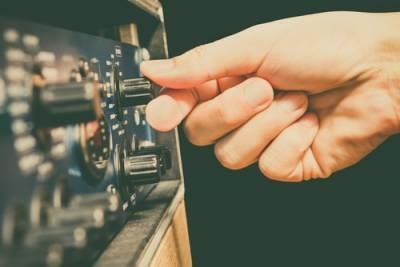 Maybe you have a radio that plays a particular local station for background music, or perhaps you use a streaming service like Spotify or Pandora to match the preferences of your customers more directly. If your business is a bar or a night club, your entertainment lineup might include live cover bands and karaoke. Copyright laws in the United States generally apply to the public performance of music, which means that playing music in your place of business might require you to pay for the rights to do so. This area of the law, however, can be complicated, and it is important to work with a business lawyer who can help protect your best interests. In most cases, songwriters and performers can obtain federal copyright protection for their musical works. From a practical standpoint, it would be nearly impossible for licensees to buy performance rights from individual artists or writers. With this in mind, intermediary groups called Performing Rights Organizations (PROs) were created to streamline the process of licensing, as well as to facilitate enforcement efforts.